The Arthroventions team had the pleasure of touring AlloSource’s tissue processing facility following the Colorado Bioscience Association’s BioBreakfast on September 28. AlloSource is a nonprofit organization founded in 1994 to honor and respect the gift of human tissue donation by responsibly developing, processing and distributing life-saving and life-enhancing allografts for our communities. An allograft is a tissue or tissues transplanted from one person to another. Allografts are used in a variety of medical treatments such as knee replacement, bone grafts, spinal fusions, eye surgery and skin grafts for the severely burned. AlloSource is the world’s leader in fresh cartilage tissue used for joint repair and skin allografts to heal severe burns. They offer more than 200 types of precise bone, skin, soft-tissue, and custom-machined allografts. Before the tour, AlloSource discussed strategic partnerships and provided an example of technology transfer with NASA for sterilizing the Mars rover. 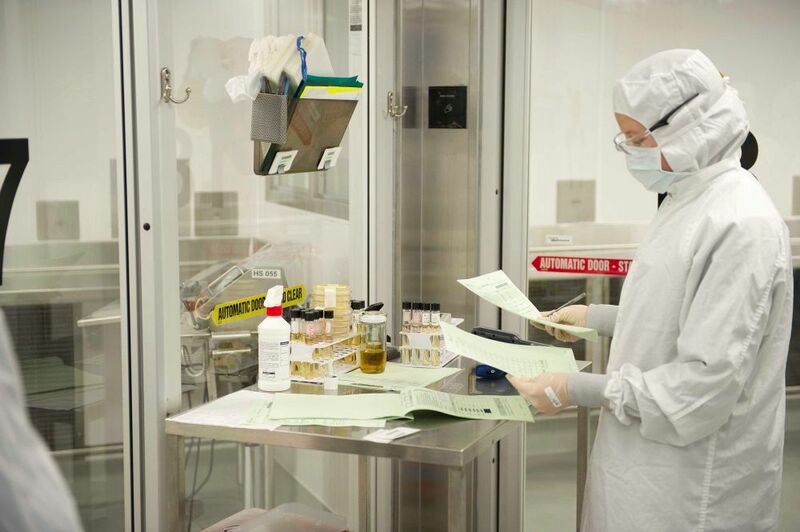 Their state-of-the-art facility houses a number of ISO class 5-7 cleanrooms to safely and rapidly process tissue from donors into viable allografts for patients in need around the world. AlloSource is just one example of the world-class medical device companies that call Colorado home and we thank them for the opportunity to tour their facility and learn about their successes. To learn more about AlloSource, please visit their website. This entry was posted in News & Blog and tagged #NASA, #Joint Care, Colorado Bioscience Association, AlloSource, Tissue Processing, Allografts, Nonprofit. Bookmark the permalink.